Like it or not, basement leaks are common and can happen to any home. They can be caused by a variety of reasons, but most typically are the result of foundation cracks. When cracks occur in the foundation of a home, there may be things that homeowners can do. A new home may take time to settle into the ground. That settlement typically will cause cracks in the foundation walls and base. As the soil is hardening and moving around under the home, it can cause pressure on the cement and concrete that is below the house. Drying soil can flex and cause the cement to crack as a result. As a home settles into the space, it will flex a slightly in various places. The more flexing, the higher the chance for a crack to result in the foundation below. Too much pressure added to the concrete could create a crack or mark that could draw in a leak. Temperature changes can also cause cracks to result in the concrete layer below. A home will expand with the heat and may shrink a little in the colder weather. This change in temperature can cause more movement in the floorboards that can be noted with more sounds under each foot step. Tree roots from nearby trees and shrubs, could cause damage to the foundation as well. When roots travel through the soil, it can begin to dig away at the home’s foundation. That digging and pressure will ultimately cause a crack and a leak to occur. Heavy trucks or machines that are too close to the home and its walls will result in too much pressure for the walls and foundation surface. Often when a neighbor is getting work done to their home, they may ask for heavy machines to go along side of the home. This pressure could create small cracks in the base of the home. If a homeowner is having work done to the backyard or side of home, they may want to ask the company providing the service to check for cracks before any work is started. Basement leaks should be dealt with right away. Over time pressure can mount and water could get inside. 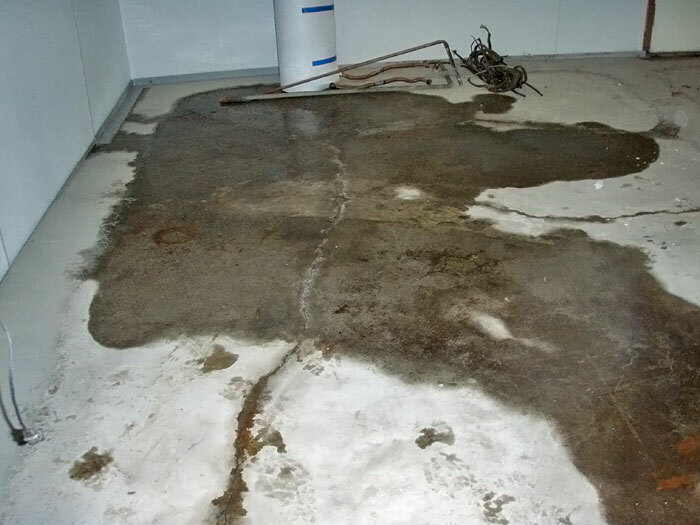 A wet basement may pose different issues for the homeowner to deal with. Prevent further leaks from occurring by fixing the cracks and getting to the bottom of the issue. Learning why a house is cracking in the first place may help to fix the issue and prevent it from happening in the future. 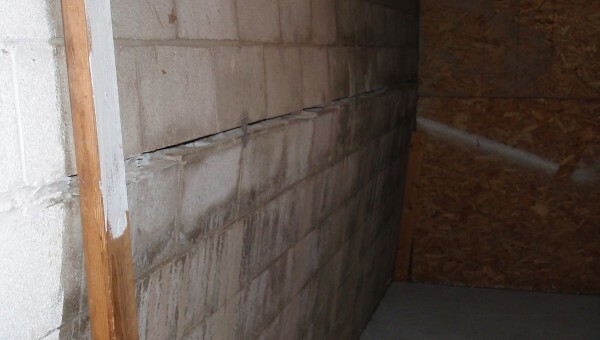 There are many reasons why bowing basement walls occur in a building. Keep in mind, basement walls are the very foundation of the house. If a basement wall isn’t built properly in the first place, it can be prone to subsidence and structural problems. Going beyond the actual integrity of the construction, the most important factor in the stability of a house foundation is the soil and earth around it. For example, many soils are rich in clay which can contract and expand depending on the amount of moisture in it. When clay is saturated with water it expands and consequently weakens the soil making it more ‘elastic’. Backfilled soil is another type of soils that can cause movement in the foundations of a house. If not compacted in the right way, it too can be weak and allow the foundation of a house to move. Conversely, bad drainage in the surrounding area of a house can have the opposite effect by pumping too much water in the earth and again weakening the soil and allowing the house to shift. The changes in moisture in the earth, as discussed earlier, can have a big effect on the walls. As moisture builds up in the soil it becomes heavier and therefore put extra pressure on the walls. Then when the soils dries out it pulls away again. These forces push and pull at the basement walls and over time caused them to change their shape. This is where the bowing occurs. An early sign if bowing walls are cracks in the surface. If you do see these it’s worth getting someone out to look at the overall structure. This is not a do it yourself job and you should contact a foundation repair contractor to come out and give you a free quote and assess the extent of the damage. 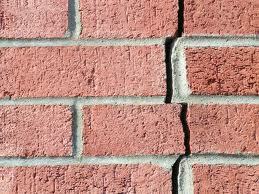 When cracks begin to form on the exterior walls of a home, these can be early warning signs of foundation issues. While there are always ways to temporarily fix the issues, these concerns will only get worse because of the deeper issue with the soil. The exterior walls of a home are supported by many things. Concrete blocks and slabs will support the walls and will sit on the soil under the ground. When the soil settles under a home, it can cause the exterior walls to also settle and rotate causing shifts in the entire home. Additionally, cracks could appear in the brick itself, in the concrete wall or in any of the blocks. 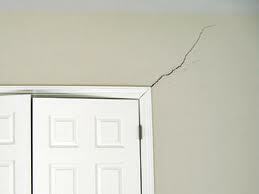 These cracks and lines occur because of the rotation of walls and the pressure on other joints in the home. While they may begin small, they will soon grow into larger issues. Cracks in the brickwork could happen at time. Homes can settle with the soil underneath at any stage of the house’s life. Factors such as poor drainage, tree roots or floods could cause the foundation soil to settle further even in an older home. Temporary fixes like crack filler may be used to contain the crack. However, when the issue is fixed for good, the sealer and filler has to be dug out and removed before a permanent repair can occur. 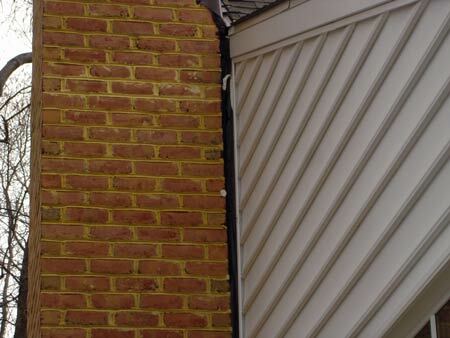 People also try exterior wall rebuilding experts. However the issue may only return again if there is a concern with the soil underneath. Repairs to walls and exterior brick work is advised, however only after the base of the home has actually been fixed first. Fixing the issue below the foundation by hiring a foundation repair specialist who deals with soil and foundation concerns is your best solution. They will give an estimate based on the size of home, exterior factors and the level of concern that sits with the foundation and home. 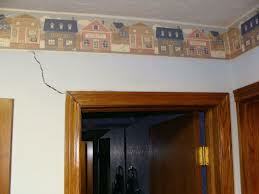 Interior wall cracks usually appear if the foundation of the house starts settling. There are several reasons, which can create this situation. When the house is constructed, factors such as compression stress, soil shrinkage, slippage, concrete shrinkage are considered. As these changes are minor, the variations are not very obvious. The major changes appear during settling of the house, which results in serious, potentially dangerous cracks. Wall gaps and cracks can be either horizontal or vertical. The horizontal cracks are not as troubling as vertical. When the building is constructed, during the drying process after plastering, some gaps may appear due to the loss of moisture. As the surface dries, horizontal gaps can result. The horizontal interior wall cracks, which appear in the plaster, are usually not very dangerous. They are more of a cosmetic issue than a structural one. However, if there is any movement in the wall, vertical cracks can appear which can be the early warning signs of something more dangerous and in need immediate attention. If the timely attention is not given, these holes can become bigger and more dangerous, as they will spread in other areas. The stabilization of the foundation is very important to ensure that the interior wall cracks are not developed. The repair and the reinforcement of the foundations help to repair the structural flaws and holes. The problem of gaps can be addressed to some extent, by using water proofing products. These products can be used both on the external surfaces and the internal surfaces. Patching tape is another way to repair wide gaps, which can be used with the putty, to fill the gaps. It is also suggested to use foam for filling larger gaps. But these are all seen as more of a temporary fix to a bigger potential problem. Fixing the issue below the foundation by hiring a foundation repair company who deals with soil and foundation concerns is your best solution. They will give an estimate based on the size of home, exterior factors and the level of concern that sits with the foundation and home. There are several reasons why you would have a leaning chimney. The general foundation of a house depends on the earth around it to keep it all solid and in place. The problem is that while a foundation can be built very precisely, one cannot compensate for the slow but constantly varying changes that occur over time to the soil and ground around the foundation. Many soils, for example, expand and contract due to differing conditions. The clay in soil becomes weak when it is saturated with water which in turn permits the foundation to sink into the ground. Another common cause of foundation shifts is the presence of trees and big bushes in the vicinity of the building. Trees can drain so much water from the area that it too can affect the foundation of the house. Similarly, improper drainage can cause structural settlement. The other main contributor to any settlement is backfilled soil that is regularly used when constructing a building. If this compacted soil has the wrong concentration, it too can have damaging effects on the foundation of your house. This is all very relevant to this discussion because the chimney is typically the heaviest part of your house. When the aforementioned soil problems occur, it is usually the chimney that shows the first effects of the shift. When it submerges it starts to arc away from the building. This effect, known as ‘settling’ can have other consequences, not least of which is a sharp drop in the value of the structure. These signs are ominous and once they start, the problem usually continues to worsen. Temporary fixes like strapping rarely make sense. This just postpones instead of preventing the problem and this is too big a job to do it yourself. So as soon as you see any sort of deterioration in the chimney, it’s best to get it sorted out. You can easily get a free quote for the repair of the structure. Some people will notice that their windows are cracking along the caulking area. There may be splits or cracks that are growing in size. While they may begin small, over a short time they may quickly spread. Cracks and gaps along the frame could be an indication of a problem with the house. Cracking around the brick close to a window may also cause the windows to get stuck. While the glass and frame would have been installed using proper measurements, over time, if the house has changed in anyway, then the frame and glass may get jammed. A door that will not close properly and needs a further push could indicate a further issue with the home. Some doors will get stuck while trying to open it or may have a hard time closing and small cracks, openings or gaps around the border of the frame could indicate a separation. Gaps in any of the doors and windows could be from shifts in the home and early indicators that the foundation is changing and being moved around. Homeowners should inspect their house once a year to check for any signs of a deeper issue. Catching things early and getting the work done is the best way to ensure that the trouble remains small and that it gets done when it should. Fixing the issue below the foundation by hiring a foundation repair company who deals with soil and foundation concerns is your best solution. They will give an estimate based on the size of home, exterior factors and the level of concern that sits with the foundation and home. All Structural defects must be inspected by an Structural engineer prior repairs.